The Eden Island marina. Picture courtesy of Facebook.com / Discover Seychelles. 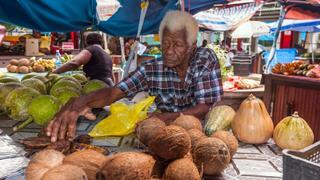 Sellers offer fresh fruit in the Sir Selwyn Selwyn-Clarke Market. Picture courtesy of Shutterstock.com / byvalet. 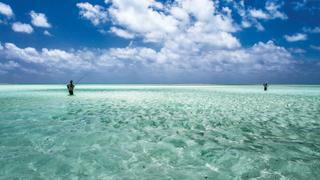 Flats fishing in the Seychelles. With yachts beginning to the return to the area, the marina offerings for large vessels visiting the Seychelles have become more established and luxurious in recent years. 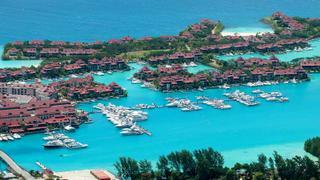 The largest and most stylish of these is the Eden Island Marina on the country’s main island Mahé, which is the perfect mooring for anyone discovering the Seychelles on a superyacht. Able to berth yachts up to 120 metres, the marina is a short drive from the capital city Victoria and is fringed by a variety of bars and restaurants best visited on a Friday evenings when it becomes a hotspot for locals looking to let their hair down. The Eden Island Plaza is also home to the sleek Eden Bleu hotel, which has become a favoured haunt by those meeting their yacht thanks to its chic bedrooms overlooking the marina, infinity pool, Creole fine dining restaurant and world-class meeting rooms, ideal for those looking to finish off a little business during their trip. For those visiting the Seychelles for the first time it may be wise to keep your itinerary within the three most popular inner islands – Mahé, Praslin and La Digue – to get a real taste of Seychellois culture. The country has a complex history as a first a French, then a British colony before finally gaining independence in 1976, and there is a great mix of colonial and Creole culture to uncover. Visit La Digue to try traditional Creole cuisine, including fish baked in banana leaves, breadfruit croquettes and plantain ladob. Praslin, meanwhile, is home to some of the Seychelles' finest white sand beaches and dense tropical forests, ideal for hiking, while history buffs will find much of interest at the National Museum of History and Botanical Gardens in Victoria on Mahé. Comprised of 115 islands spread across some of the Indian Ocean’s most pristine waters, the Seychelles offers an unparalleled opportunity to discover unspoiled cruising grounds, serene anchorages and peaceful bays often on uninhabited islands. Whether you're looking to try out your new superyacht toys without annoying yachting neighbours or simply wishing to sunbathe on the beach without any onlookers, privacy doesn’t come much more complete than in the Seychelles outer islands. Love nothing better than to throw out a line and wait for the local delicacy to bite? A superyacht vacation in the Seychelles is ideal. 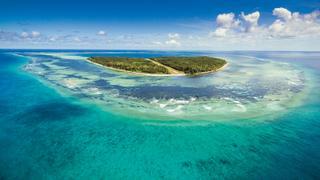 While the catch is great throughout the islands, the private resort Alphonse Island has made its name as one of the best big game and fly fishing spots in the world. The island operates a strict catch-and-release policy for fly fishers and allows only 12 rods out at any one time meaning the odds are in your favour should you be hoping to catch a giant trevally or huge triggerfish. If you prefer to see your catch put to good use, head out on a ‘kitchen run’ with Alphonse’s resident fisherman to put your tuna and jackfish angling skills to the test and – should you be successful – served for dinner the same night. 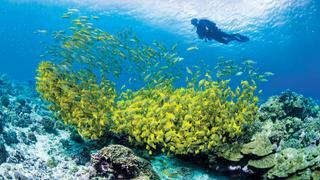 Whether you’re into scuba diving or love bird watching, the Seychelles is a paradise for wildlife fans. If you’re exploring the inner islands of the Seychelles, make a stop at Praslin to visit the UNESCO protected site of the Vallee de Mai nature reserve which is the only place in the world where all six of the Seychelles’ native palms, including the famous coco de mer, grow in one place and is home to the rare black parrot as well as a host of other indigenous reptiles and mammals. Snorkellers and scuba divers are sure to find much to delight across the Seychelles but, as with fishing, the protected waters around Alphonse make its sea life offerings particularly spectacular. 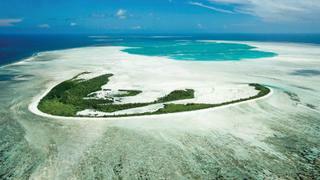 The resort also offers guided tours of the neighbouring Francois Island is completely deserted aside from its populations of king crab, shearwater birds and baby sharks and rays.